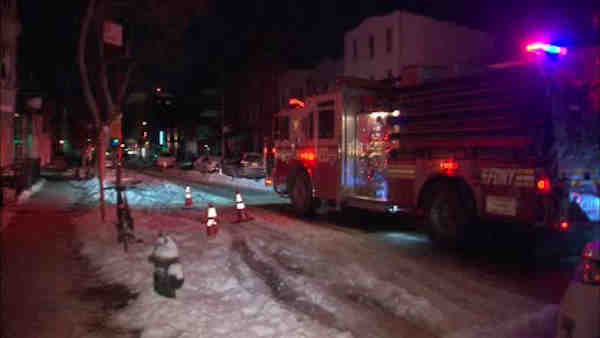 WILLIAMSBURG, Brooklyn (WABC) -- A manhole fire has knocked out power to several buildings in Brooklyn. The fire cut power to 138, 140, 142, 144, 146, 148 and 150 North Seventh Street in Williamsburg Friday. North 7th Street is closed from Bedford Avenue to Berry Street. Meanwhile, in the Briarwood section of Queens, there was another manhole fire, this time at 82nd Avenue and 134th Street. The fire was under a car and police were pulling the car off the manhole around 7 a.m. Friday.